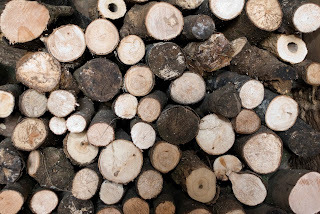 If there's one thing that we get through a lot of at the Hall at this time of year... it's logs. With three open fires, and a wood-burning stove of epic proportions, the log shed is nothing if not well stocked. 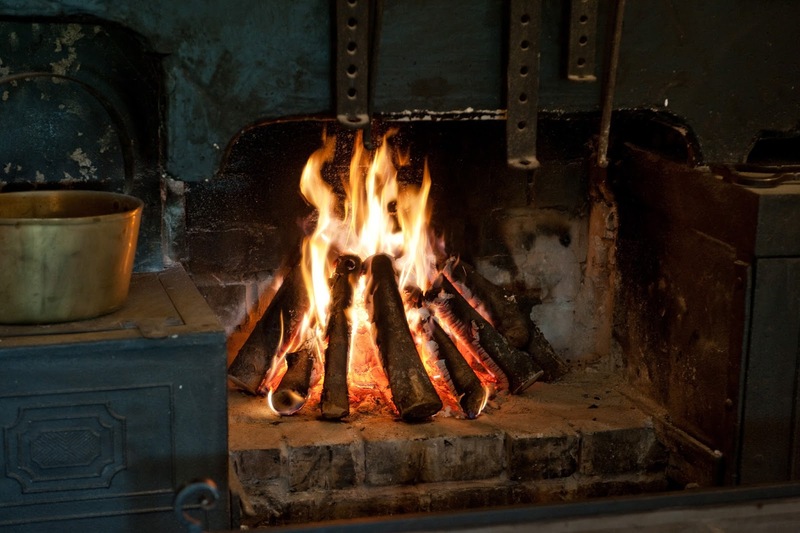 All the wood burned at the Hall is gathered from the Estate's woodland - Spring Wood. It is brought in one autumn, left to season for a year and then chopped and stored in the Log Shed before being brought into the house in small loads as needed throughout the week. We were turning the lights off after a guided tour when we noticed a couple of small beetles on one of the tables in the Drawing Room. They were leg-in-the-air so we swept them to one side thinking we'd look at them in better light the next day. The next day? They'd moved! This time they were under the lamp. So we went on a bug hunt and low and behold - there were more - under lamps and on window cills. Fearing the worst we Googled Death Watch Beetle - far to big. Woodworm - still far too big. So, feeling slightly more positive that the house wasn't been chewed from the inside out, we called the Architect... Take a photo he said, it's simple he said. Have you ever tried to take a photo of something the size of a grain of rice? So we rang the Bug Man. Send me a sample he said, it's simple he said - put them in a pot and post them. I blamed the Office Dog originally - thinking she was chasing rabbits in her sleep and making squeaking noises, but no. Then I blamed the heater, but no. Then the printer, but no. Finally in desperation I put the pot to my ear - the beetles were singing!!!! Never has a jiffy bag been found so quickly. Into the post they went and then we waited. Five days later we got a phone call - he had no idea! We went through a few facts: where they were, what they did, why they seemed to be indestructible (he'd had them in the freezer for 24 hours and they were still singing when he took them out)!!! His first idea was disastrous: Museum Beetles. Within 10 minutes we'd formulated a plan to remove every single piece of wood from the Hall, vacuum all surfaces, carpets, nooks, crannies and under all furniture plus under the carpets. Thankfully we received a second phone call confirming that they were actually Ash Bark Beetles - a non-destructive beetle that lives purely in the bark of wood and does not eat furniture - hallelujah! So - crisis averted - a Hall without logs would be a very sad place indeed!